How FreshMenu marked its presence in online food ordering marketplace? Bangalore based Fresh Menu is a part of serial entrepreneur Krishnan Ganesh & Meena Ganesh’s startup factory Growth Story. FreshMenu’s vision is to deliver tasty, fresh and chef-prepared food on-demand and delivered at your doorstep. The startup is already creating waves in foodie-circles because of its exotic menu. The company offers ready-to-serve and ready-to-cook food meal plans. Why we chose FreshMenu as Startup of the Week? • Besides Bangalore, FreshMenu is also operational in Mumbai as well as parts of Delhi-NCR. FreshMenu was founded by IIM Graduate Rashmi Daga in 2014 in Bangalore. It is a meal kit delivery service aimed at the busy urban individual who seeks nutritious food, but may not have the time to prepare one. The idea of FreshMenu was not the first in line when she had thought of starting a business. It was born out of something she had experienced. She was living in Frazer Town, where getting food or going out to a restaurant was not much of a hassle. But then she moved to a high-rise building in Sarjapur. The nearest place to go out and have good food was far away. After pitching a lot of ideas from tutoring services to do it yourself cooking recipes and ingredients earlier, she had finally found what she wanted to build her company around, fresh, tasty and affordable food. FreshMenu follows a hub-and-spoke model with centralized kitchens in each area that they move towards. So if you order from Indiranagar in Bangalore, you get served from the Indiranagar kitchen. Thus, each customer gets served from a neighborhood kitchen and has fresh food. The kitchens are set up in different locations based on surveys and research done by a team. After the kitchens become operational, locality-specific marketing is done. From January last year, the startup had begun opening kitchens every month. The team records a month-on-month growth of 30 to 40 percent. FreshMenu has raised $5 million in Series A round of funding from Lightspeed Venture Partners. The company has just bitten off a huge slice $16.5 million in a funding round led by Zodius Capital, with participation from existing investor LightSpeed Ventures. 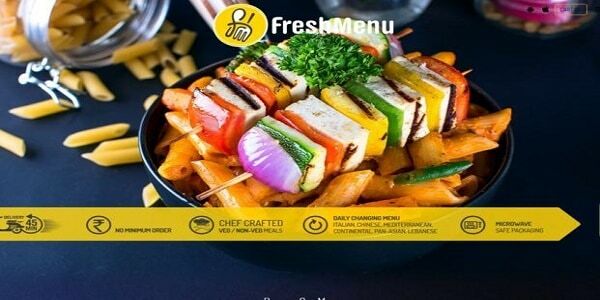 Taking its business further ahead, FreshMenu in its latest development has acquired $17 million funding in its series B round of funding. FreshMenu plans to invest the raised amount in expanding its reach in the city, enhancing its technology, hire larger teams and adding more cloud kitchens. It also plans to spread its wings in six top cities of the country. The company will be adding newer kinds of food and cuisines to the menu. 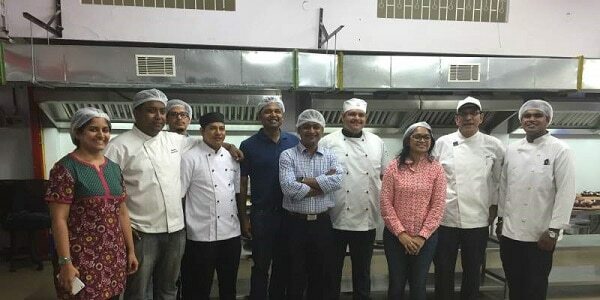 Daga plans to set up 100 kitchen facilities across Bengaluru, Mumbai and Delhi. The company is seeing a month-on-month jump of 30% in the number of orders and 25% in its user base.